Updated Feb. 21, 2018, 11:45 a.m. PT: Demi Lovato recently took time out of her busy schedule to speak with SheKnows over the phone to discuss her latest musical endeavors. In the run up to her exciting partnership with CAST Centers, Lovato has also recently partnered with two major companies for a new venture. As it turns out, Lovato’s part of an exciting new endeavor from Mastercard and American Airlines wherein these companies have “curated a ‘priceless’ collection of events just for cardmembers to help them pursue their passions and create memories they will cherish for a lifetime,” with Lovato contributing her talents as a performer to the mix. Originally published January 25, 2018: Fans who go to a Demi Lovato show on her next tour will get more than just music therapy. 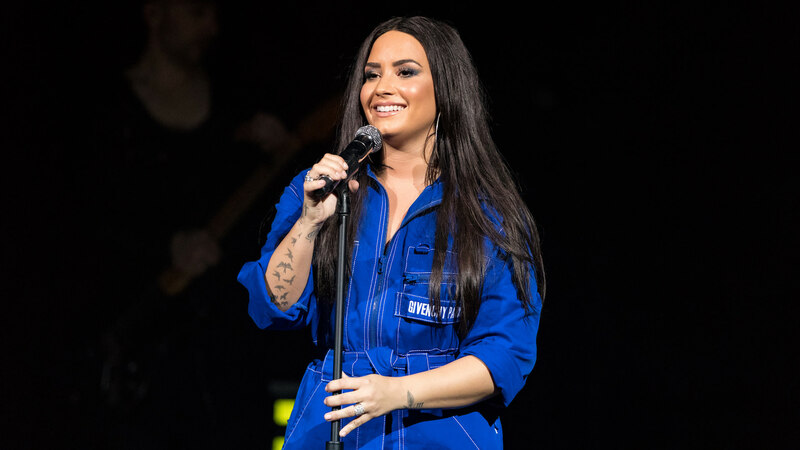 Lovato is partnering with CAST Centers, an organization that promotes mental health and wellness, to provide inspirational speeches and group therapy to concertgoers during her 2018 tour, and honestly, it’s genius. Lovato is a co-owner of CAST and was actually a patient there in 2011 when she was struggling with her own mental health. Throughout her career, Lovato has been open about her struggles with bipolar disorder as well as her long road to sobriety. Her upcoming partnership with CAST isn’t new — during her 2016 tour with Nick Jonas, she offered similar services at her shows. Lovato’s 2018 tour will feature DJ Khaled and Kehlani and is set to start Feb. 26 in San Diego.